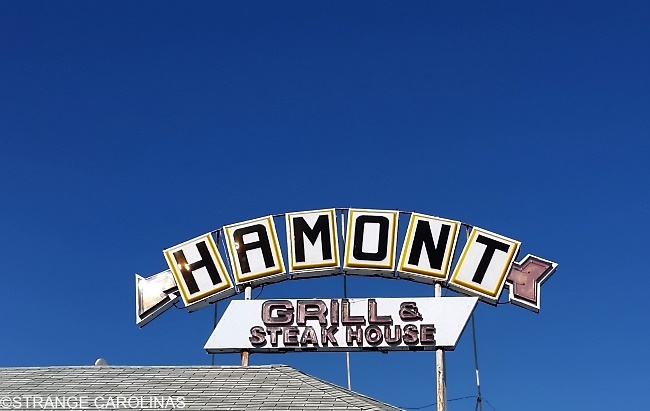 The Hamont Grill & Streak House sign can be found on top of the Haymount Grill & Steak House in Fayetteville, North Carolina, near another sign that reads Haymont Grill & Steak House. The Haymount Grill & Steak House opened in 1946 in the Haymount neighborhood in Fayetteville. Legend has it that when the sign was created in the 1950s, the original owner decided to cut corners by cutting letters, so he chose to have the sign read Hamont. 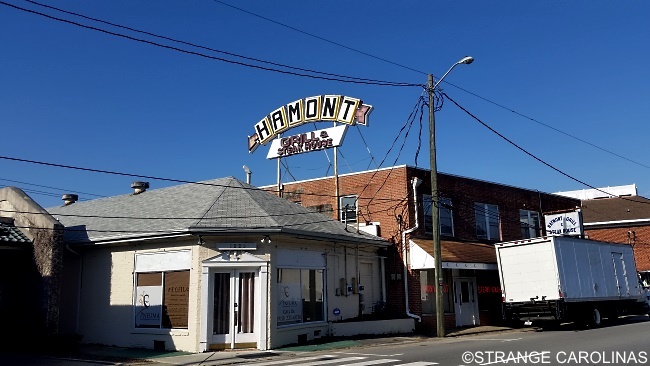 In 1973, current owner Pete Skenteris decided to put a small sign on the side of the building with the establishment's correct spelling, but the sign maker misspelled it as Haymont. Today, the only thing that remains of the Haymount Grill & Steak House are the signs. A fire started in the kitchen in April of 2016 and did $750,000 worth of damages. The restaurant never reopened.